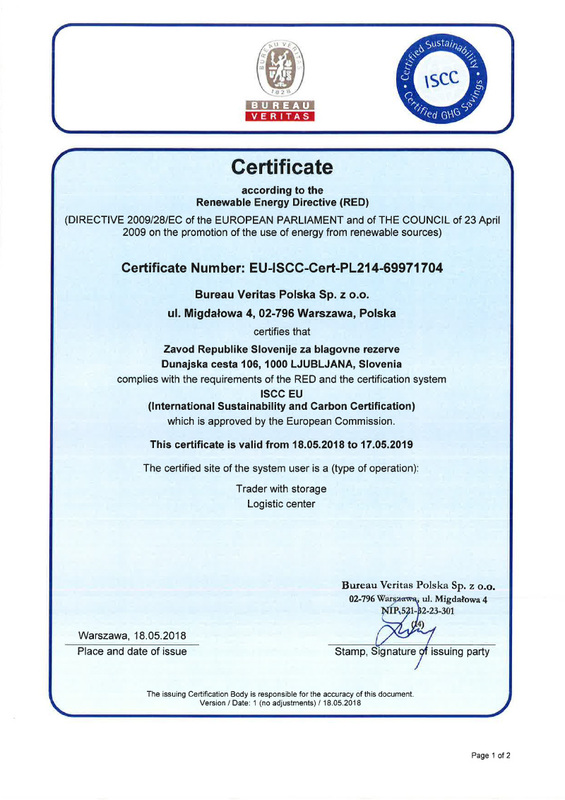 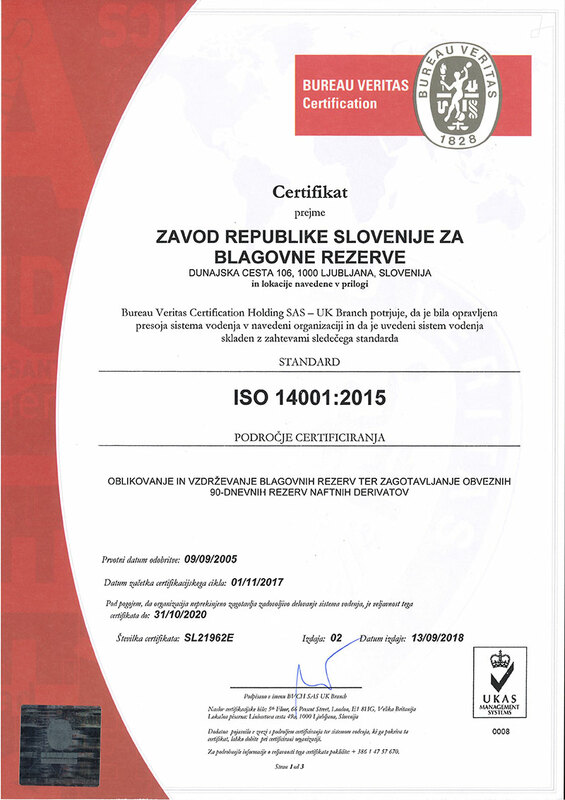 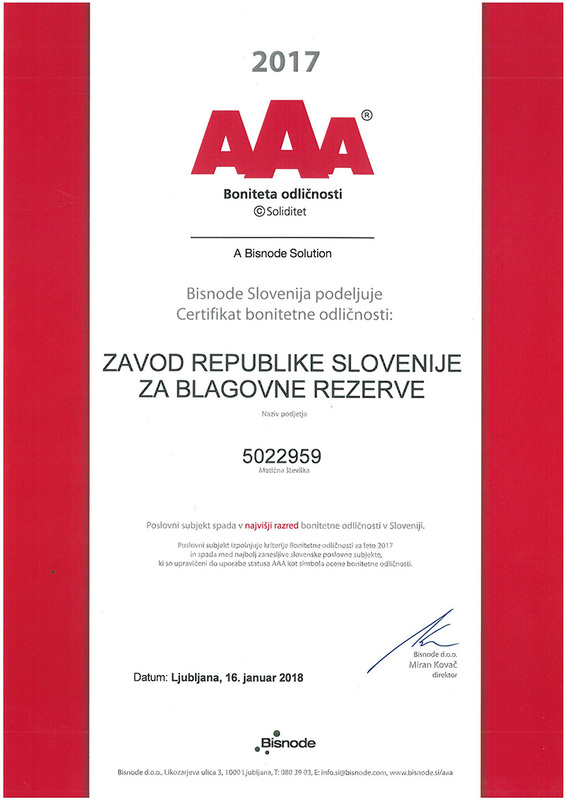 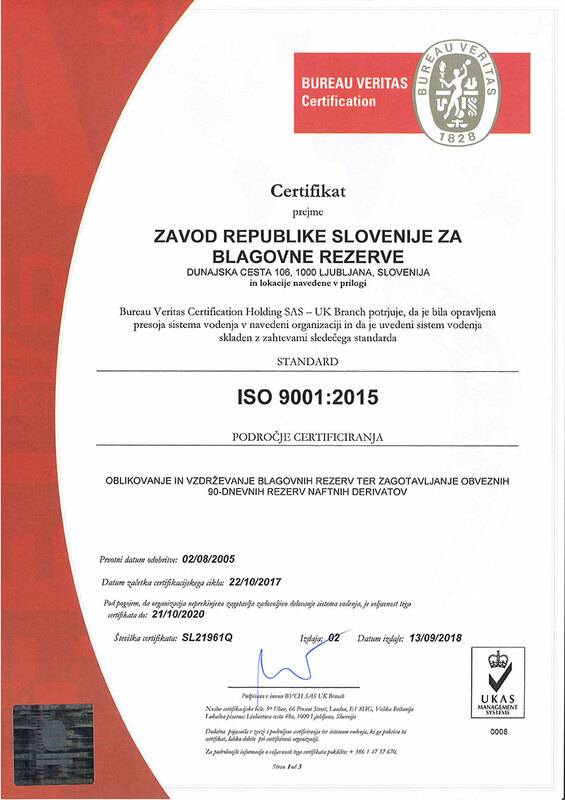 awarded by BISNODE d.o.o., the company specialised in producing high-quality business, credit and market information, confirms that we are on the right track. 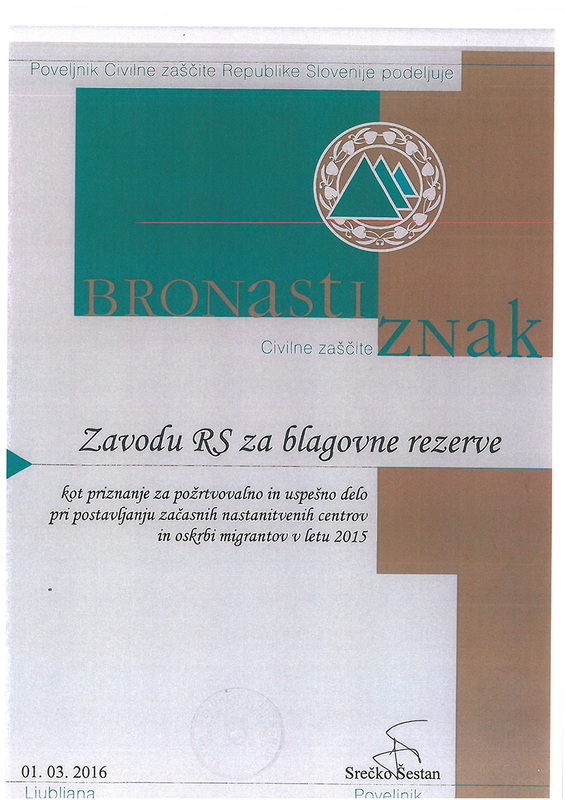 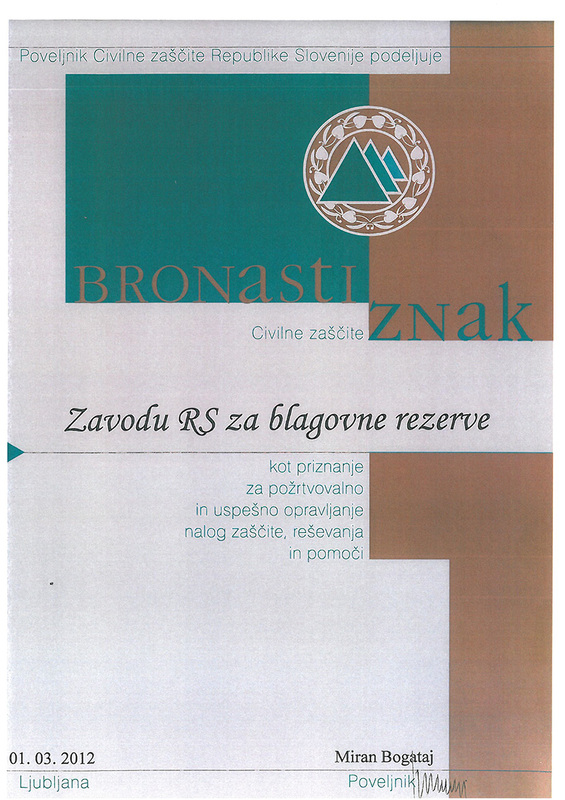 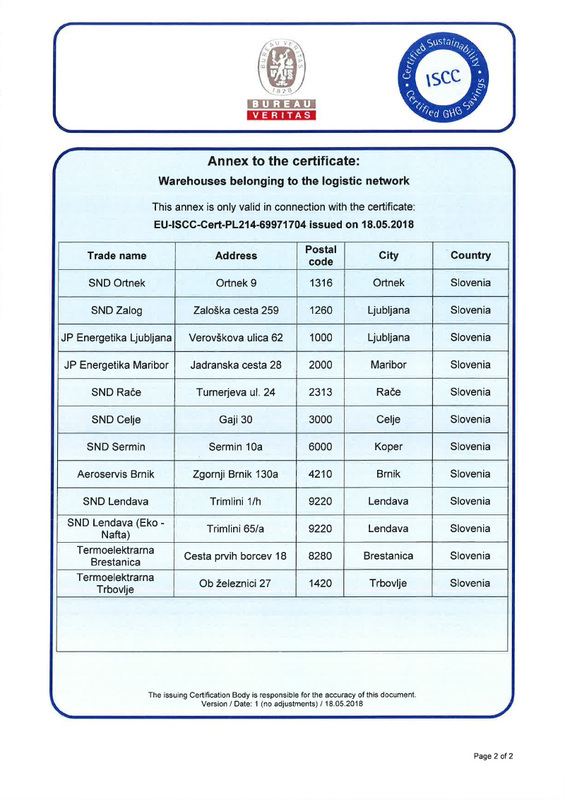 Other recognitions for the Agency’s commitment to respond to the needs of the affected population in case of emergency are two bronze decorations awarded by the Administration of the Republic of Slovenia for Civil Protection and Disaster Relief. 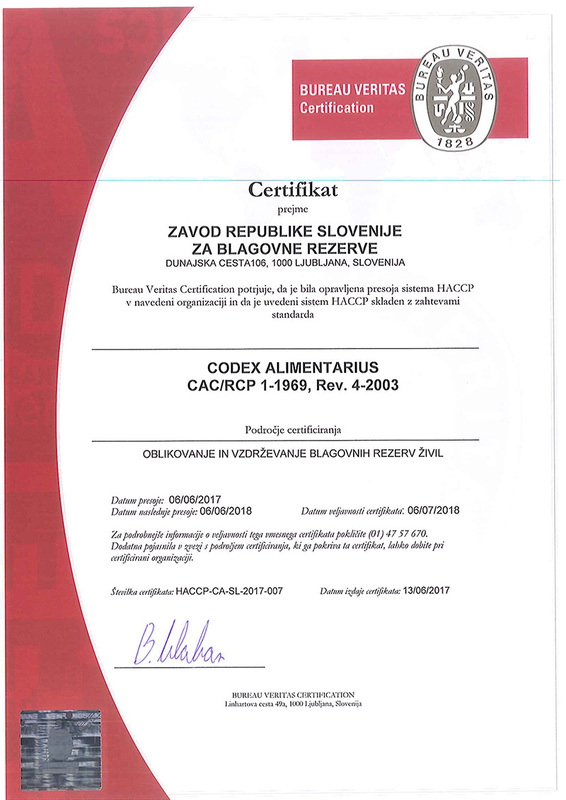 The first time was on 1 March 2012 for relentless and successful intervention in the field of protection, rescue and aid, and the second time was on 1 March 2016 for relentless and successful setting up temporary accommodation facilities for migrants and providing food and other necessities in 2015.